Along the banks of the Exploits River, the Lion Max SImms Memorial Camp is helping people of all ages and abilities make memories to last a lifetime. If a picture is worth a thousand words, the smile on Evan Alexander’s face speaks volumes. It’s hard not to feel his excitement and pure happiness as the bright-eyed boy looks into the camera. For the past six years, Evan, 14, (pictured right) has been attending Lion Max Simms Memorial Camp with his grandparents, Junior and Josephine Humphries of Labrador City. Spread across 25 acres of land along the banks of the Exploits River, just outside of Bishop’s Falls, the fully accessible facility gives Newfoundlanders and Labradorians with varying physical and mental abilities a true camp experience. Whether it’s the occasional horseback ride, roasting marshmallows and singing songs by the campfire, or just playing games with friends, Junior says it’s an experience that Evan, who was born with cerebral palsy, very much looks forward to. 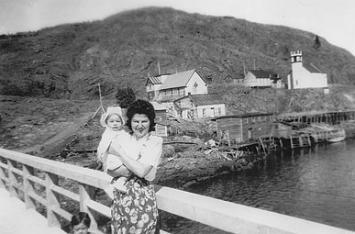 “When we turn off the Bay D’Espoir Highway there, he gets all excited, he starts squealing. He’s like that until we get to camp,” Junior says. Officially opened in 1981, the Lion Max Simms Memorial Camp gives people of all ages and abilities the chance to unwind, experience the great outdoors, meet up with old friends and make new ones. It is named after the late Max Simms, a member of the Corner Brook Lions Club and the last International Councillor of Lions International, who embodied the very spirit of volunteerism, charity and community that the organization embraces. Simms (who passed away in 1977) had diabetes and heart trouble, but even after losing both of his legs and his vision later in life, he remained an active member, attending meetings in his wheelchair. hinder him from doing the things he wanted to do,” says Corinna Burton, camp manager. Corinna says, they have regularly hosted camps for a number of groups throughout the summer months, including the provincial chapters of the Autism Society, the Canadian Council of the Blind, the Canadian Hemophilia Society and Special Olympics. This year, she says, they hope to host their first paediatric cancer camp. They also host four open camps each summer for any individual or group with special needs. The camp is open year-round and is a truly inclusive and welcoming space, consisting of 38 rooms (which can accommodate 96 people), a staffed commercial kitchen and dining room, three common rooms, a gymnasium and a games room. The facility, nestled among spruce, fir and pine trees, is housed under one roof with wide corridors to accommodate those with mobility issues. There are also accessible showers, as well as lifts and a small number of medical beds for those who might need them. Outside, campers can enjoy a swimming pool, wheelchair accessible hiking trails, campfires, fishing and rides in a pontoon boat on the Exploits River, just to name a few of the summer amenities. “Everything’s wheelchair access-ible, so we take their chairs right onto the boat. And when you look at something so simple as going for a boat ride, some of these campers... have never ever been on a boat. We take them out onto the Exploits River and we go out and we have a little ride with them,” Corinna says. 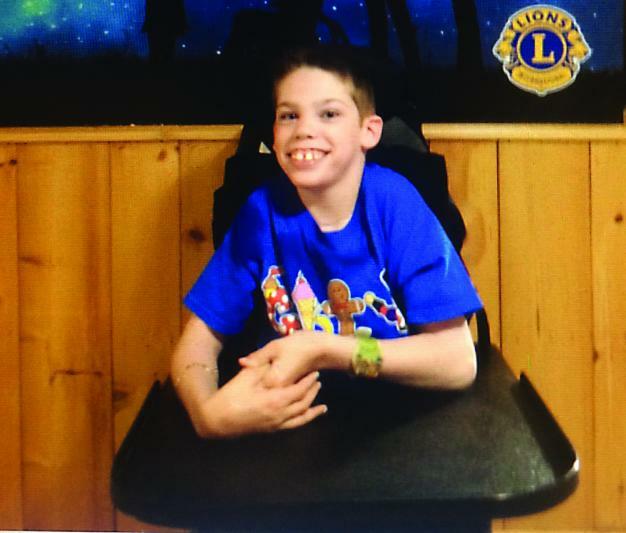 Running a facility like the Lion Max Simms Memorial Camp (the only camp of its kind in Atlantic Canada) is no small feat, and without the support of the provincial Lions Clubs and the wider community, Corinna says, it wouldn’t exist. The camp is governed by a board of directors consisting of 10 Lions members from around the province; the camp manager, program director and summer students run the programs. Since it receives no government assistance (aside from the Canada Summer Jobs program to hire staff), most of the funding for the camp and its activities comes from the volunteer fundraising efforts of the Lions Clubs of Newfoundland and Labrador. “They put thousands of dollars into the camp each year, just for upkeep. And they fundraise for any bigger purchases that the camp might need,” Corinna says, like the new $200,000 fully accessible playground (which was matched by an ACOA Canada 150 grant), as well as the wheelchair accessible trail that was recently developed around the camp’s perimeter. The public also helps support the facility by renting it for private events (from September to mid-June), with all the rental money going back into the operations side of the camp. In addition to raising money for the facility, the Lions also sponsor campers and cover their fees and sometimes, if they’re able, their transportation costs. “Every year since we’ve been going now, the Lions Club of Labrador City has been paying our registration, which is fantastic,” says Junior, who’s been a member of the Lions Club for almost 40 years. During a typical summer season, the facility hosts anywhere from 1,000 to 1,200 campers, who range in age from several months to 90 years. People attend from all over the province (and as far away as Nova Scotia), and the friendships and bonds that form are unbreakable. One couple that met at camp even ended up getting married. 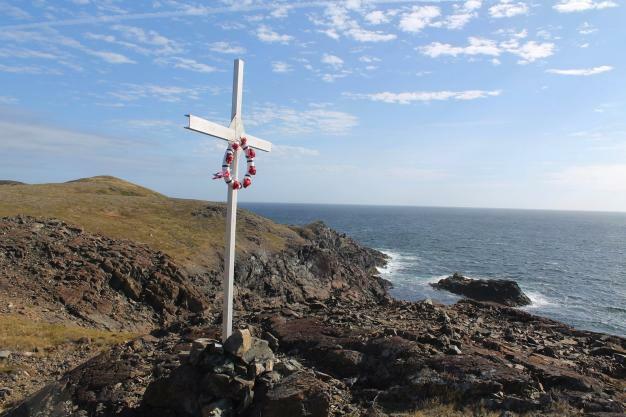 “We’ve got a group from the Goulds who have been coming for years upon years to our open camp, and they only get to see their friends from Burgeo at that camp every year. So it brings them together from across the province,” Corinna says. It’s not just the campers who benefit from the facility, she adds, but the parents, chaperones and summer students as well. “We’ll take the campers and work alongside them for crafts and activities during the afternoons. And that kind of gives the parents and the escorts a little bit of a break and gives them a little bit of social time to be able to interact… it’s a big network that gets created,” Corinna says. Aside from the fun and games and friendships, perhaps the camp’s greatest power lies in its ability to be an equalizer. There’s no judging or staring or pointing fingers, just freedom, support and a strong sense of community.